Crying for Elysium: stories, poems, essays edited by Andrew Doyle was published last year by Valancourt in a limited edition of 100 copies and launched at the McClay Library at Queen’s. Copies are available to purchase online through Special Collections & Archives, Queen’s University Belfast. 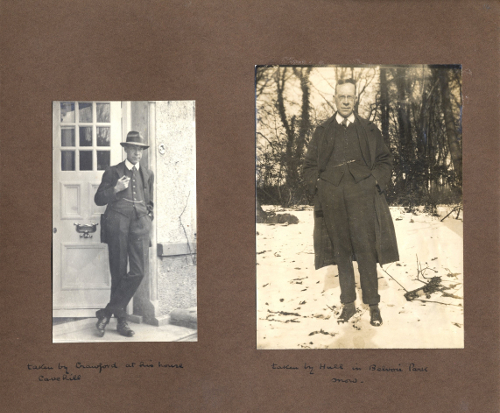 Forrest Reid (1875-1947) is one of the most significant literary figures to emerge from Northern Ireland. During a career spanning over four decades he produced sixteen novels, two autobiographies, the definitive account of book illustrators of the eighteen-sixties, acclaimed studies of W.B. 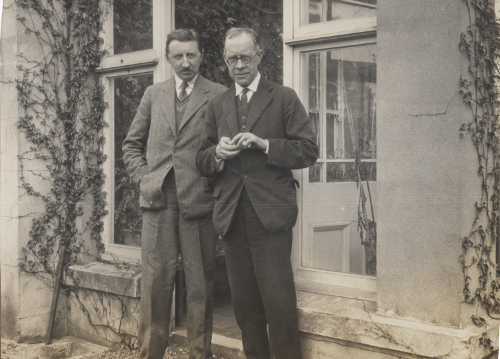 Yeats and Walter de la Mare, as well as countless critical essays and reviews for a variety of international publications. E. M. Forster once described Forrest Reid as the ‘most important man in Belfast’, yet even in his native country he was never well known. Scornful of fashionable literary trends, Reid remained faithful to his own unique vision, one that he repeatedly attempted to capture in his work. 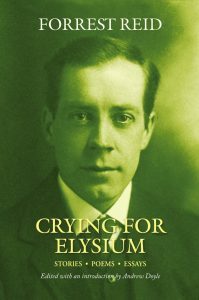 Crying for Elysium offers a range of previously uncollected stories, poems and essays, in addition to all of the material from the anthologies Reid published during his lifetime: ‘A Garden by the Sea’ (1919), ‘Retrospective Adventures’ (1940) and ‘Notes and Impressions’ (1942). All Reid’s short stories are included, as well as his 1905 novella The Garden God. There are also several previously unpublished pieces taken from the original manuscripts, such as ‘Lewis Carroll and Tenniel’, ‘The Great Mr Porson’, and the sinister tale ‘Furnished Apartments’. Andrew Doyle has contributed introductions to several new editions of novels by Forrest Reid, all published by Valancourt. The Reid Collection (MS44) is available for consultation at Special Collections and Archives. Belfast Central Library also holds a Forrest Reid Collection comprising typescripts and manuscripts as well as a comprehensive collection of first editions.